This content is an advertorial, but that doesn’t mean we can’t fire off a nice discount at you. CDkoffers is one of the most licensed sites available for various platforms, whether for software or games. 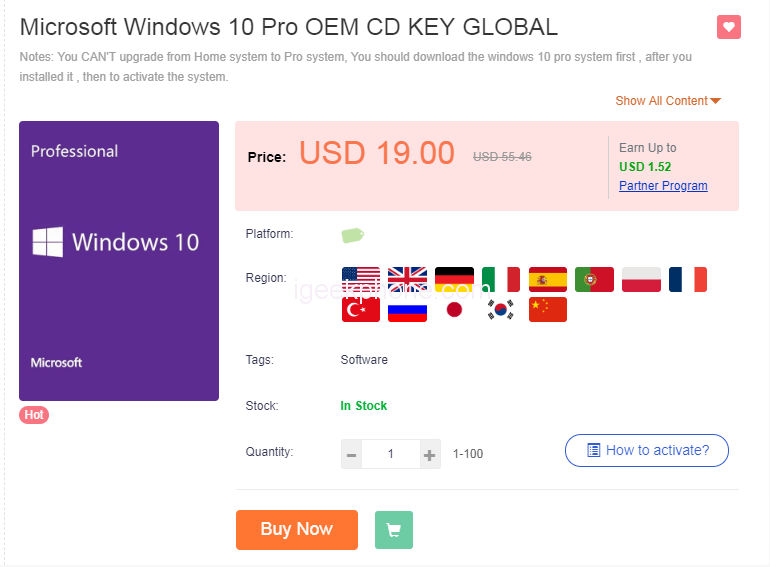 This time CDkoffers brings as a novelty the offer at a competitive price known Microsoft widow 10 Pro OEM. Excellent opportunity to renew or even know this office and game productivity package.CDkoffers was one of the first professional marketplace dealing with MMO-games. And is an online platform for selling software licenses and games of the most varied type. Head over to the store now to purchase a version of Windows 10 Pro for just $14.25 . Use coupon-code GK25 at checkout for an additional 25% off on the already discounted prices! The listed price during their sale is $19but you can get 25% off using ‘ GK25’ discount code. 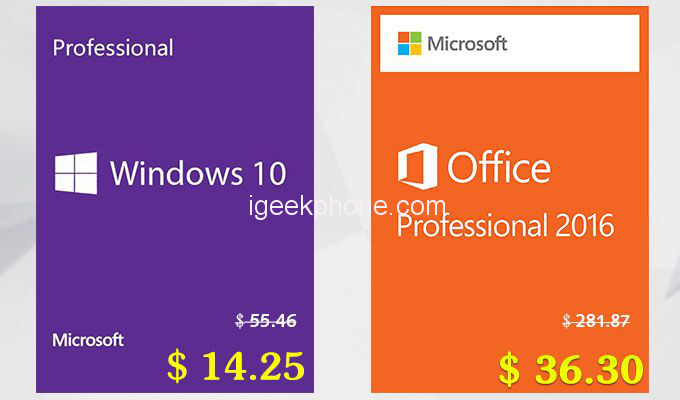 A side note: Office 2016 and Office 2019 are both up for grabs as well at $36,30 and $46,50, respectively. Setting up a new PC can be done in a much cheaper way thanks to CDkoffers, with an offer going above operating systems and software to PC and even Xbox One games and subscriptions. It’s not just PC gamers that can jump onto the gaming sales with CDkfofers offering up a 12-month Xbox Live Gold membership. Battlefield V is offered in an Origin CD key, The additional 3% discount offered with igeekphoneand CDkoffers deal is GK3 . Use coupon code ‘GK3’ at checkout for 3% off on non-game software purchases.